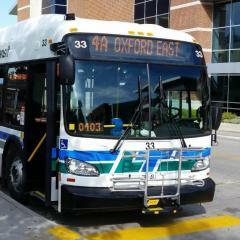 528-531 are the new buses. Identical to the earlier 500s except for different updated headlamps. 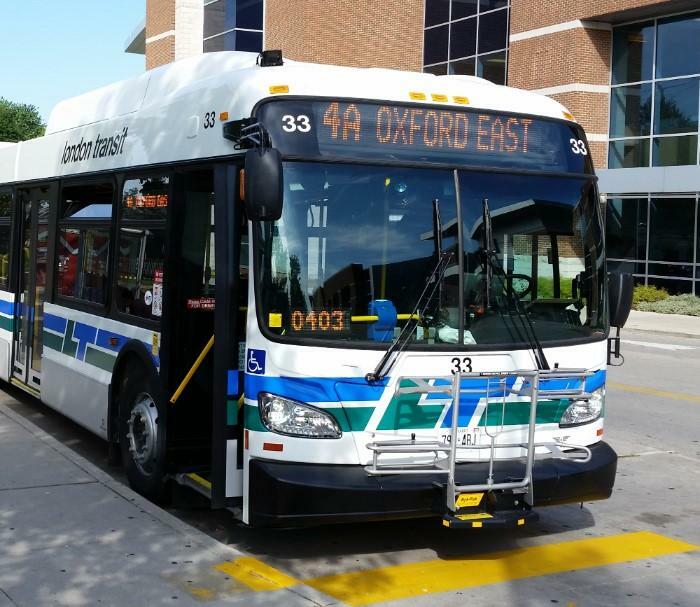 Just a reminder to the transit fans ... the last day to get your photos on Dundas St. in the downtown core is April 28th. As of the 29th all buses will be permanently moved to King and Queens as Dundas is ripped up for the city's "Dundas Place" project. UPDATE: While the official date remains April 29th ... the city is closing and beginning construction on April 4th. Also to further that ... all the XD60s are out of Wonderland only, including 34. The D60LFs and D60LFRs are all at Highbury garage. Up to 512 in service. Only 2004s left on the road are 452, 456, 459, 461, 463 and 464. Some other buses done too but cant remember them all ... I know 467, 471 and 473 are done and I think 482. All except 525-527 and whatever they decide to number the new artic have arrived now. 501 was on the road today for the first time. On a side note ... 426 is now sold to the Delaware Speedway and will be crushed by a monster truck in a few weeks. Actually the two you saw were 426 and 436 (sitting out of the tent by the tracks). There are still over a dozen inveros sitting around the property. Some may be sold, most will probably end up in scrap eventually. They all went out this morning ... 424 and 425 were on morning trippers which would not show up on the WebWatch. The highest numbered Xcelsior is #378, which has not hit the road yet. Heads up that Inveros 418, 424, and 425 are back from the dead and in service. 601 is back on the road as of yesterday. Odd week for bus assignments. Inveros have been all over the place. Routes 1, 10 and 12 had an Invero running on them the other day ... also an artic on the 15 and an Eldorado on the 24. Also, 601 will see more life, they are in the process of repairing it. 601 and 603 are sitting out back of the garage, have been for weeks. 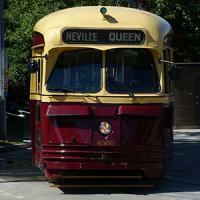 602 is in regular service. Toronto the Stanley Cup Champions and Detroit missing the playoffs. You certainly are living in a fantasy world! Ugh ... Pittsburgh BLEW IT. And I expected more from LA ... oh well, guess since they didn't have home ice advantage. Chicago in 7. Going to be an amazing series.